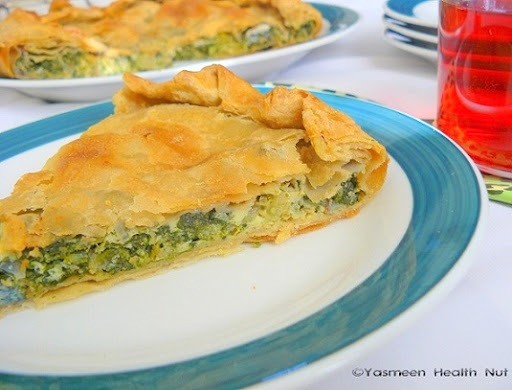 Sumptuous Savory Pies like these are staple in Greek cooking.Thanks to Ivy and her clearly explained recipe I was able to recreate her traditional whole grain Greek Spanakopita(Spinach Pie) from scratch. A short cut for the crust is to use the store-bought phyllo.In the mood for a more wholesome pie,and prior experience of rolling tissue-thin strudel dough ,I was willing to take the tougher route.Rolling each sheet with passion for good food.Gladly the result was worth every muscle,a flaky and absolutely filling pie.Be sure the whole wheat flour is fine ground ,or the whole wheat pastry flour should also be good. 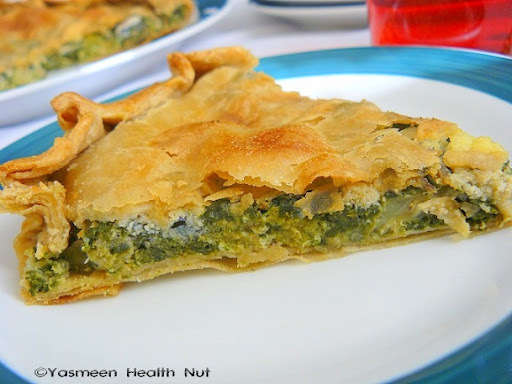 Not to mention the filling is generously green ,mild tasting spinach in combination of other sharp or bitter greens and sprinkle of chunky salty Feta cheese. Combine the flour and salt in a large mixing bowl. 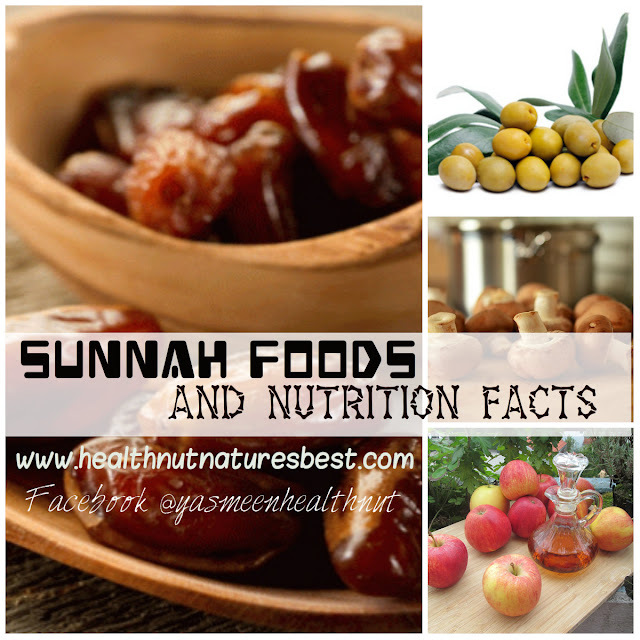 Mix the water,2 teaspoon oil and vinegar in a measuring cup. Add the water/oil mixture to the flour and make a soft dough and knead for 2 minutes. Make sure it is not too dry, add a little more water if necessary. Shape the dough into a ball and transfer it to a plate. Oil the top of the dough ball lightly. Cover the ball tightly with plastic wrap. Allow to stand for 30 minutes. Heat oil on medium in a large pan, add the garlic,saute for 10-20 seconds until aromatic.Add the onions,leeks,salt,pepper and saute 3-4 minutes until onions are translucent.Now add in the greens and increase the heat on medium-high,and constantly stir and cook until greens are wilted and most water is soaked in 6-8 minutes.Turn off the heat and after completely cooled,mix in the eggs and feta cheese. Sprinkle some flour on your work surface and also on the dough.Divide the dough into smaller portions,depending on the size of sheets needed and the baking pan used. One can certainly use a pasta machine to roll the dough.A more traditional method is rolling by hand.Use a longer rolling pin for better results.Shape each small portion into a ball and then flatten into a disc.Roll it very thin ,longer than the diameter of you baking pan.Brush about 1 teaspoon of oil over the rolled sheet of dough.Now roll the remaining portions of the dough and place each over the other ,be sure to brush with oil between them for a flaky crust. For the base crust,I used 4 rolled sheets of dough and 3 for the top crust. Preheat oven at 180 degrees C (350F).Brush the baking pan(8x8 inch) with oil and gently place the 4 rolled sheet over the pan and press slightly until it touches the base of the pan all around.Now place the prepared spinach mixture and spread evenly.Cover with 3 rolled sheets of dough.Bring together both the base and top sheets,fold and press to seal it completely.Use a sharp knife to score on top in triangular portions. Brush with reserved whipped eggs all over the pie.Bake for 25-30 minutes until the top is golden brown.Cool on rack for 15 minutes. Slice and serve. 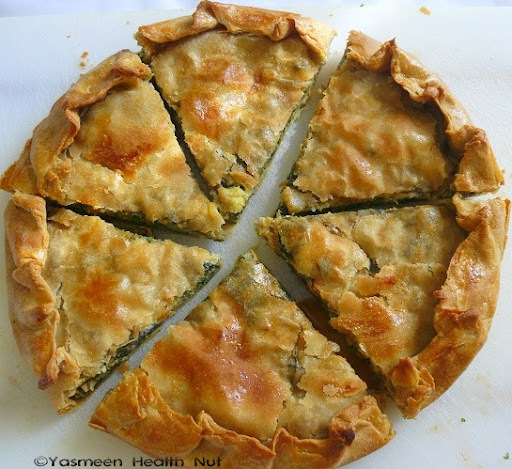 The traditional Greek pie is my entry for AWED : Greek event,hosted by Curry leaf. WOW! 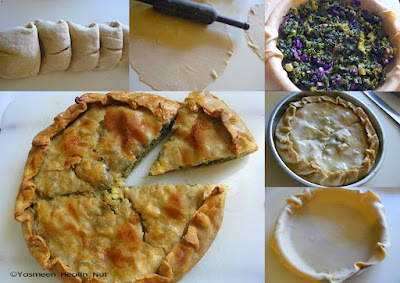 Beautiful pie and looks definitely delicious! That is a pie I adore! Yours looks beautiful and so appetizing! I love spanakopita. Yours looks absolutely delicious. Great job! Yummy and delicious.. nice clicks!! This pastry and its filling is a winner, but then again you always make things healthily delicious! I am SO amazed that you rolled your own dough. What an achievement! This looks great. 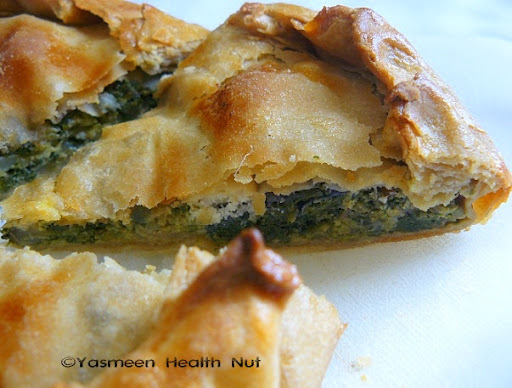 Fantastic spanakopita, looks awesome and healthy Yas..
that's something delightful & healthy, nicely balanced and simply perfect with the home-made whole wheat crust!!! Look at that amazing crust and creamy filling. Excellent.The crust is very perfect and the slice is inviting. :P THANKS for the dish Y.I was waiting for a n entry from you. Well presented posts !! First time here !! First time here !!! I am surely going to try this !!! Thanks for share and the step by step pictures !! How on earth did you get the whole wheat crust so thin!!! It is fabulous Yasmeen. Look like pastry dough, great looking pie! 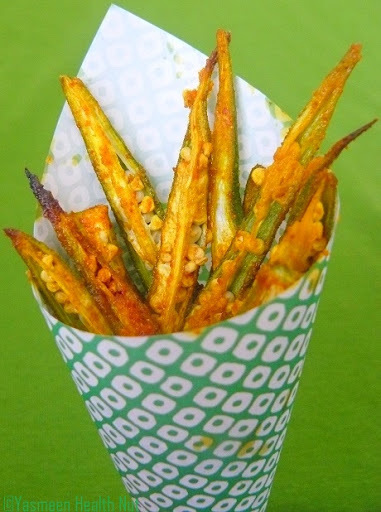 Wow, Yasmeen, you did such a great job and thanks for chosing a recipe from my blog. Your spanakopita looks so inviting and the phyllo is so flaky as it should be. I've never tried tofu efore but just to know, you can also substitute the eggs with flaxseeds. It looks perfect! well done! This is mazing-homemade crust and whole grain!! I would love to try it. 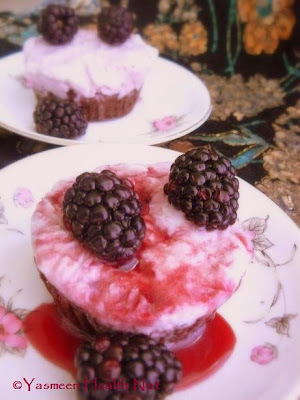 This looks so luscious, Yasmeen! I can understand the muscle involved:D.
Beautiful and ambitious, Yasmeen. Store-bought phyllo will have to do for me, but I admire your determination and talent in making your own! i have some phyllo dough sitting in freezer right now which needs to be used up soon, it is now screaming this spanakopita substituting phyllo for the home-made crust. looks so scrunchy and beautiful,yasmeen! Unbelievable...to make it from scratch requires so much work,the result is worth every muscle,I agree. first time i tried whole wheat, thanks for recipe. it took me longer time to cook i think, dont know if this holds for you as well. I usually open the phyllo doughs to a small extent, brush oil on them and then stack them up to open a big layered dough. Its easier and much faster.